Sometimes, you just want to sit back and watch the world go by. The front porch is often an underused area of our homes, but it’s easy to transform it into a perfect outdoor room with a little decoration and some great outdoor furniture. Imagine finding a great piece of art for the porch and combining that withbeautiful leafy plants, flower boxes and the perfect door mat.. Finish off the space with some lovely POLYWOOD® furniture and you’ll have a front porch every visitor will love (not to mention the added curb appeal!). When it comes to choosing the right type of furniture for your front porch, you have plenty of choices. All our pieces are available in a wide range of colors and styles, so you’ll find the right front porch furniture for your tastes. We have several types of furniture for your front porch — swings, rockers, gliders, benches, Adirondack chairs, and deep seating sets. Our benches and swings come in 48” and 60” widths, perfect for two adults, plus a furry friend! 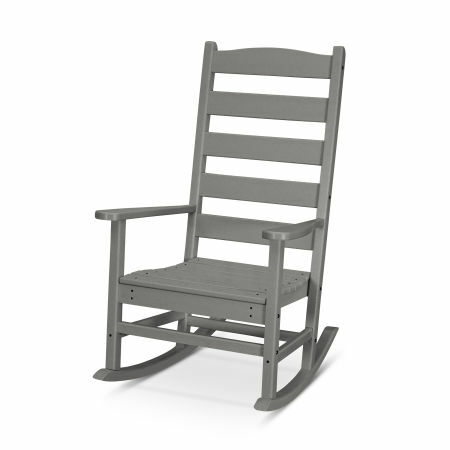 Or, if you want to be a bit closer to the ground, our gliders and rocking chairs are just right. 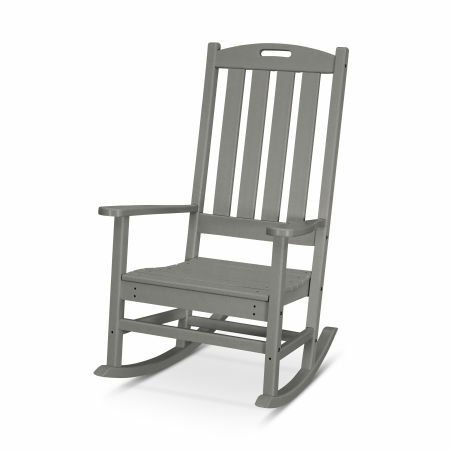 For a lower seat and more relaxed feel, our Classic Adirondack is one of the best ways to enjoy your front porch. From the gently sloped seat to the folding feature for easy storage and transportation, this chair provides a comfortably contoured seat with a versatile look. 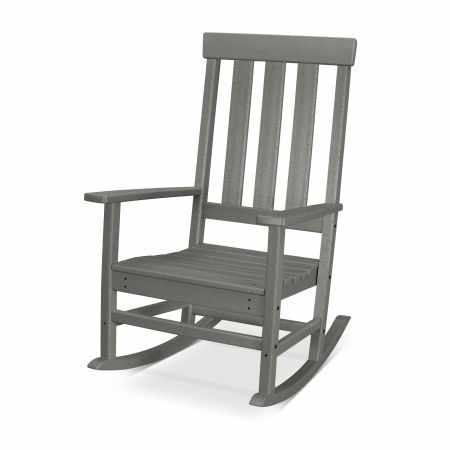 If a higher seat with a more robust frame is what you’re looking for, our Seashell Adirondack is the perfect fit. It’s curved back brings enhanced comfort and the wider arms make for a great place to set that glass of wine while you turn the page of your favorite book. Finally, for some upholstered luxury, our deep-seating sets provide relaxing, comfortable cushioning bringing the coziness of your living room outside. All POLYWOOD® furniture is resistant to harsh weather, sun, and water. Our unique HDPE lumber is superior to both traditional wood and plastic materials, and it’s perfect for your outdoor furniture. Genuine POLYWOOD® lumber won’t crack or rot. And, Its density and Color-Stay Technology also makes it possible to leave your furniture outside all year-round! Maintenance is a breeze too — POLYWOOD® furniture just requires a wipe down with a damp cloth, water and a gentle dish soap. Whatever the style of your home and porch, our range of colors and styles means you’ll find the right complementary pieces. Choose from the spacious Vineyard 60” Swing, or the more intimate 48” Nautical Swing that’s perfect for two. 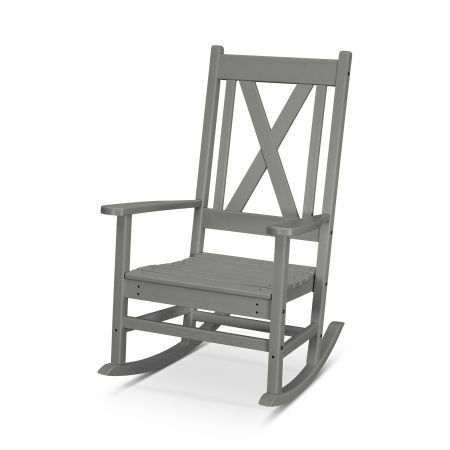 Glide in company with the Adirondack or Traditional Garden Gliders, or rock solo with the Presidential, Jefferson, or Seashell Rocking Chairs. Our Vineyard 4-Piece DeepSeating Set comes with a cushy settee, chair, side table, and coffee table — perfect for larger front porches.